C-Punk [aka Cripple Punk / Crpl-pnk /] is an international solidarity movement and online community of those living with a disability that agitates against ableism. It has been described by its founder, Tai/Tyler, as a, "primarily lgbtq+ radical disability movement with strong ties to leftism and a foundation in rejecting oppressive power structures". 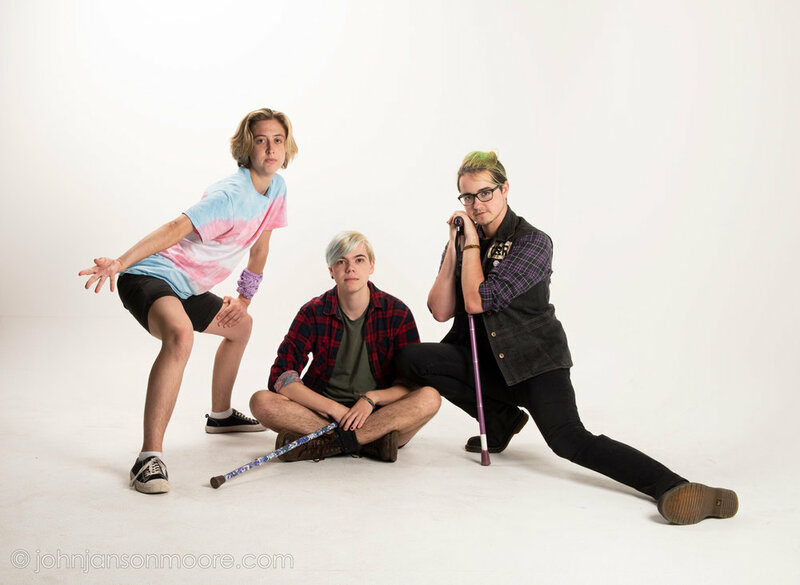 Below are some studio portraits of three C-Punks from inner Sydney, Australia, Charlie, Flynn and Hayden. Charlie says, "The cripple punk movement, like many waves and constellations of disability rights movements, asserts our (disabled people's) place as the prioritised voices in conversations about us. Not carers, not families, not disability sector workers, not abled politicians, not abled people full stop."